Bonnie and Clyde have nothing on her love story. 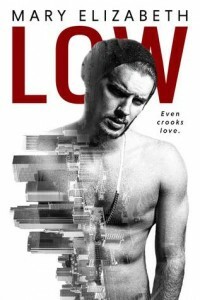 We fell in love with them in the romantic suspense, Low and now we get to hear Poesy’s story in this new novella! Living on the right side of the tracks can be cruel. Poesy Ashby lives a dysfunctional life to prove it. Determined not to turn out like her parents, she’s gives up seeking their approval and focuses on breaking free. But abiding by the rules is nearly impossible when corruption is in your blood. Before Poesy Ashby becomes a renegade on the run, she’s a girl from the suburbs who finds acceptance for the first time in the most unexpected place: between rose petals and thorns. Sometimes you just need a little bit more. A little more background on the characters…well, just a little more. 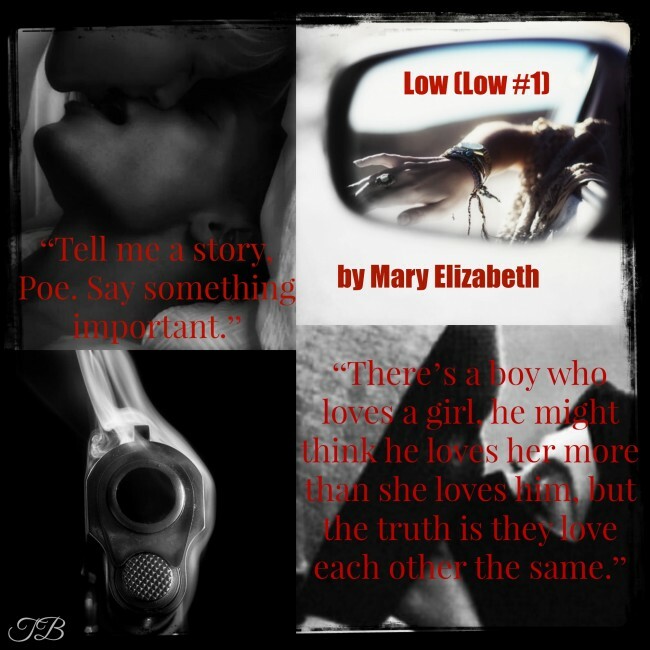 After falling in love with Poesy and Lowen in Low, we felt we just needed a little more introduction and build up to the intense love they shared and that’s exactly what Mary Elizabeth has given us in Poesy. Low was a heart pounding, emotional and thrilling modern day Bonnie and Clyde romance that had us gripped in its every exhilarating moment and the only issue we had was that we would have loved the relationship between Poesy and Lowen to have been explored a little further prior to the commencement of the crux of the story. With Poesy we got what we wished for. Poesy begins from the first time Low and Poesy met, so we get to connect with them from the very beginning and it was a welcome insight into this period of their lives. Starved of affection, in Low, Poesy found the love and protection she was always denied by her emotionally stinted parents. In their eyes, Poesy was an inconvenience to be ignored as much as possible. What she had in material wealth, she lacked severely in physical and emotional wealth, Low provided that for Poesy. For those who loved this couple in Low, we recommend grabbing this book. For those who haven’t read Low, we must warn that the epilogue contains a HUGE spoiler for Low and it therefore our recommendation that if you are new to these books that you read Poesy, skip over the epilogue and head straight into Low – then come back to read the epilogue from Poesy’s pov.